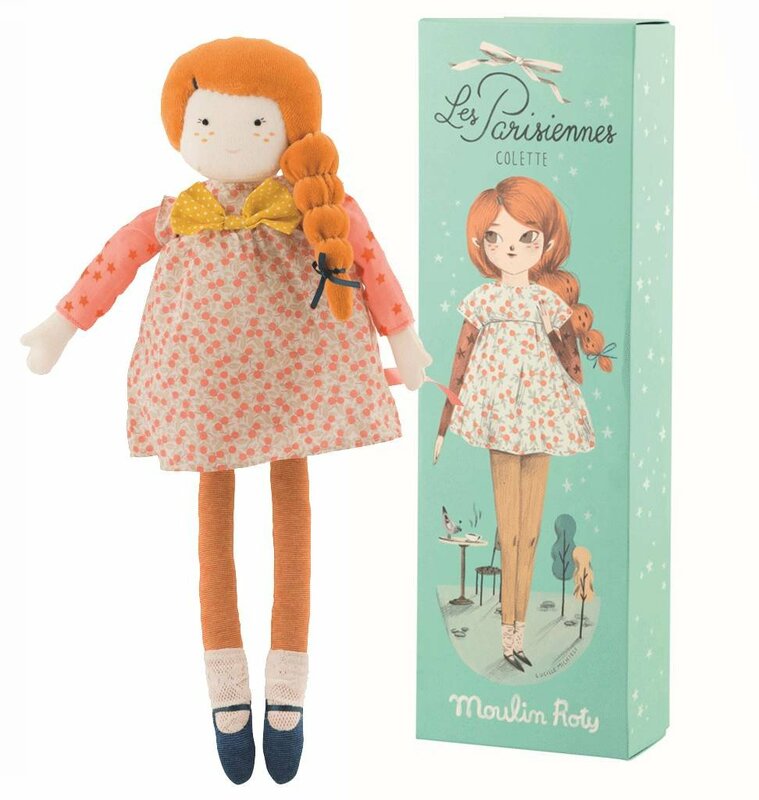 Part of the Moulin Roty "Les Parisiennes" line, Mademoiselle Colette features an adorable outfit, ballet shoes and stylish braid. She comes in a beautifully illustrated decorative box for safe keeping. Just what your fashion-forward little one has been dreaming of!